"confident, multi-faceted ... serious cojones y sabor!" 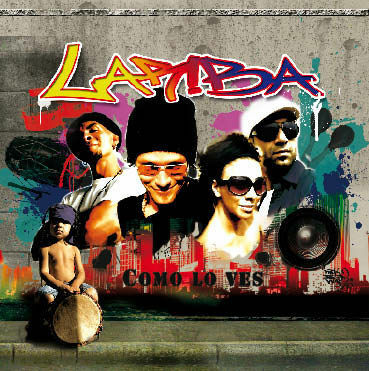 When I first received this CD of ‘urban latin music’ from Switzerland, I assumed it would be like their famous Emmental: cheesy and full of holes. However, what unfolded was confident, multi-faceted and played with some serious cojones y sabor! Featuring four Cubans, a Mexican, a Sicilian, a Brazilian and a Swiss they sing in Spanish, Portuguese and Italian (and can handle Arabic and English as well). The CD covers a variety of ‘urban latin’ styles, mixing in elements of reggaeton, cumbia, hip-hop, son, mozambique, samba-reggae, baiao, mariachi, salsa, jazz, batá, santería, samba, bomba . . Whilst this might sound like a recipe for a dodgy international fondue, in fact each track is utterly convincing. The nearest comparisons would be Sargento García and Orishas, but there’s a lot more buried within this well-produced 15 track CD. The copy I have is just a promo CD and I don’t know how near they are to getting a distribution deal - but you can try their sites: www.lariba.ch and www.myspace.com/lariba for further details. "one of the best surprises of the year!" These guys are good, VERY good! Definitely one of the best surprises of the year! Recommended. Pass the fondue fork, please, someone.